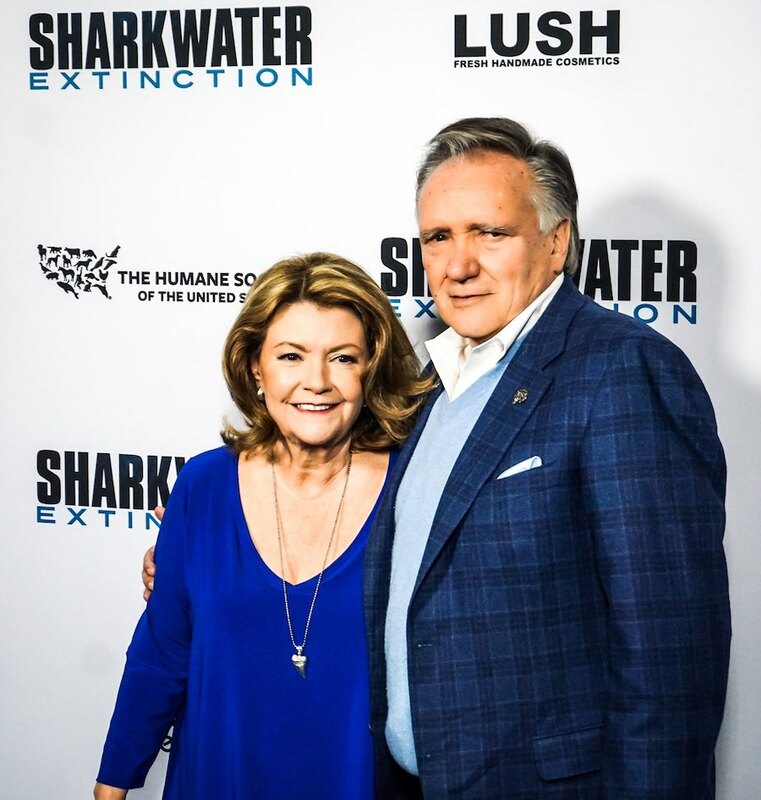 The parents of filmmaker Rob Stewart, Sandy and Brian Stewart acted as Executive Producers on Rob’s first two films, Sharkwater (2007) and Revolution (2013) and most recently worked with a team to guide and complete his final film, Sharkwater Extinction. In partnership with United Conservationists and Fin Free, two foundations founded by Rob, the Stewarts will continue to complete the many projects Rob had in development at the time of his death. The Stewarts are also the co-founders of the Tribute Entertainment Media Group of companies. From Tribute Magazine, a publication first distributed in theatres across Canada, the franchise has expanded to a roster of online media content products, including www.showtimes.com, www.frontrowcentre.com, and Canada’s largest independent movie website. www.tribute.ca . 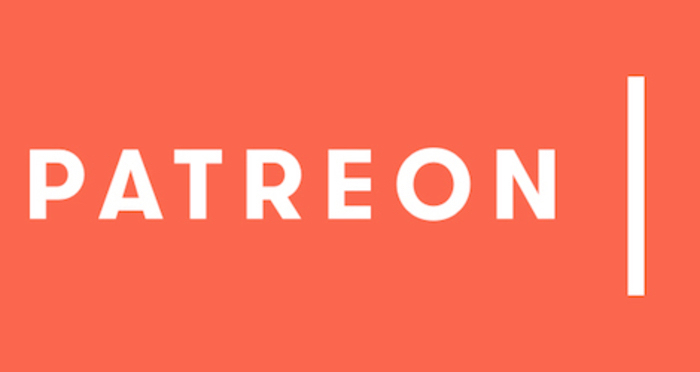 With a long history of working with movie producers, movie stars and industry insiders in both Canada and LA, Tribute has produced entertaining content for over 35 years. Tribute is a leader in creating and executing award winning marketing and promotional opportunities for theatrical motion pictures. Born and raised in Toronto, Canada, Rob Stewart began photographing underwater when he was 13. By the age of 18, he became a scuba instructor and then moved on to earn a Bachelor of Science degree in Biology, studying in Ontario, Jamaica and Kenya. 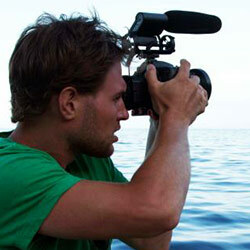 Before making Sharkwater (2007), Stewart spent four years travelling the world as chief photographer for the Canadian Wildlife Federation’s magazines. Leading expeditions to the most remote areas of the world, Stewart logged thousands of hours underwater using the latest in camera and rebreather technologies. Stewart’s highly sought-after images have appeared in nearly every media form worldwide. While on assignment to photograph sharks in the Galapagos Islands, Stewart discovered illegal longlining, indiscriminately killing sharks within the marine reserve. He tried promoting awareness through print media, but when the public didn’t respond, Stewart decided to make a film to bring people closer to sharks. 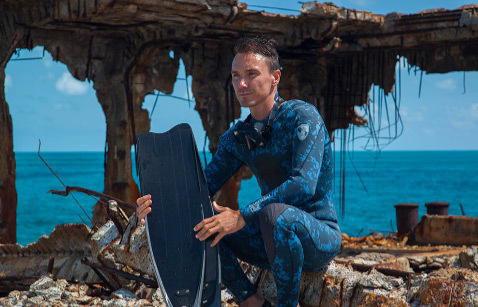 At the age of 22 he left his career behind and embarked on a remarkable journey over four years and 12 countries, resulting in the epic Sharkwater. Stewart was the first to bring the devasting issue of shark finning to the world stage. Today most countries have banned shark finning, and a shark research group credits him with saving 1/3 of the world’s sharks. Sharkwater was enormously successful, premiering at the Toronto International Film Festival and winning a “Canada’s Top Ten” award. Sharkwater made history with the largest opening weekend of any Canadian documentary, and was the most award-winning documentary of the year, winning over 35 awards at prestigious film festivals around the world. Stewart’s hardcover book, Sharkwater: An Odyssey to Save the Planet, was released in October 2007 by Key Porter Books. His book Save the Humans was released in the Fall of 2012 by Random House. Stewart worked tirelessly on conservation and environmental education, speaking at the University of Victoria, Yale University, Vancouver Aquarium, ROM, various TEDx events, and others. He served on the board of numerous conservation groups including WildAid, Shark Savers and the Shark Research Institute, and founded his own charity, United Conservationists, based in Los Angeles and Toronto. Featured appearances on numerous high-profile TV shows included Larry King Live, The Today Show, Tonight Show, The Late Show, Nightline, Access Hollywood, Entertainment Tonight, ET Canada, Bloomberg, The Hour, BBC1, MTV and many others. Stewart’s second film, Revolution, again premiered at the Toronto Film Festival and was released worldwide in 2013. This groundbreaking documentary received both critical and audience acclaim and numerous international awards. Revolution was the first film to alert the world to the catastrophic effects of carbon emissions (burning fossil fuels; coal, oil, gas, deforestation). Climate change was well known, but not the resulting Ocean Acidification that would devastate the reefs, kill 25% of the fish populations, and potentially the oceans themselves. Today, this is well known. Sharkwater and Revolution are still to this day the number 1 and 3 Canadian documentaries of the last 15 years. 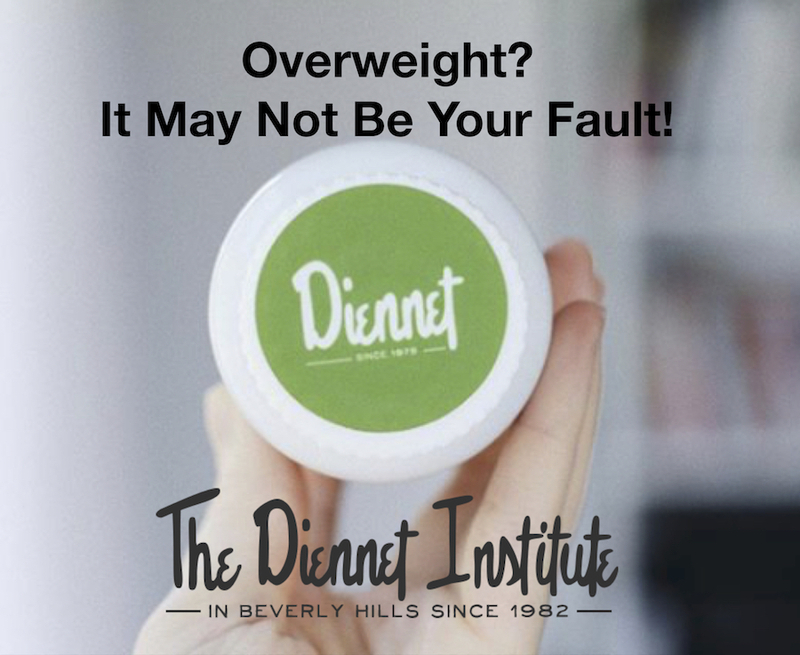 They have been awarded more than 70 international awards and viewed by over 125 million people. 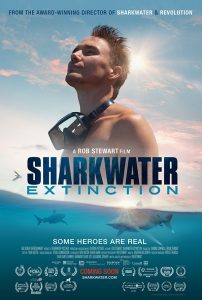 In January, 2017, while shooting his third film, Sharkwater Extinction, Stewart tragically passed away during a dive off the Florida Keys. The US Coast Guard reported that the search for Stewart was the largest they had ever experienced. Thousands offered help. Richard Branson, Jimmy Buffet, Paul Watson and the Sea Shepherd sent help. Many sent planes, helicopters, and boats. 60,000 watched his funeral online. More than 1100 attended his funeral, before the church was filled to over capacity, with standing room only. Awards in Stewart’s name now include the Academy of Canadian Cinema with a 5 year $25,000/year award in his honour; Planet in Focus provides the annual Rob Stewart Youth Eco-Hero Award, and Oakville’s bursary to a student studying marine biology at Dalhousie is now at $65,000. Film festivals, universities and conservation groups worldwide continue to honour Stewart with lifetime achievement awards. The PangeaSeed Foundation, whose Sea Walls: Artists for Oceans murals around the world highlight some of the most pressing marine environmental issues of our time, launched the Dakuwaqa Project, dedicating murals to Stewart and highlighting his pioneering efforts in the realm of marine conservation. Murals by local artists have been created in Toronto, Miami, Los Angeles, New Zealand and Australia. In 2018, the Project pledged to install 5 more murals globally to ensure Rob’s legacy continues to live and grow. Sharkwater: Extinction (2018) is a thrilling and inspiring action packed journey that follows filmmaker Rob Stewart as he exposes the massive illegal shark fin industry and the political corruption behind it — a conspiracy that is leading to the extinction of sharks. From West Africa, Spain, Panama, Costa Rica, France, and even in our own backyard, Stewart’s third film dives into the often violent underworld of the pirate fishing trade to expose a multi-billion dollar industry. Shark finning is still rampant, shark fin soup is still being consumed on an enormous scale, and endangered sharks are now also being used to make products for human consumption. Stewart’s mission is to save the sharks and oceans before it’s too late. But exposing illegal activities isn’t easy; protecting sharks has earned him some powerful enemies. Sharkwater, Rob’s first film, brought the devastating issue of shark finning used in shark fin soup to the world stage. His multi award-winning film changed laws and public policy worldwide, created hundreds of conservation groups. Today more than 90 countries have banned shark finning or the trade of shark products. Even so, Stewart finds sharks are still being fished to extinction. Sharkwater: Extinction continues the adventure across four continents, as Rob travels through the oceans to investigate the corruption behind a multi-billion dollar industry. The crew goes through some of the world’s most dangerous fishing ports run by international crime organizations that have infiltrated the fishing industry. Rob’s second film, Revolution, continued his quest to save sharks and the oceans. Revolution was the first feature film to platform the devastating effects of Ocean Acidification. Climate change was well known, but scientists were just realizing the effects would be much worse than ever imagined. We were in danger of losing the coral reefs, and potentially the entire ocean ecosystem, which gives us 60% of our oxygen. Sharks, the top predator controlling the fish populations below them and the plankton that give us our oxygen, were being fished to extinction in an ecosystem they have controlled for 400 million years. 100 – 150 million sharks are killed every year, but only about half of them are reported, including endangered species. Shark populations have dropped more than 90% in the last 40 years. Without the oceans’ main predator, marine ecosystems are being destroyed beyond repair. Sharkwater: Extinction dives into remote underwater locations to reveal the catastrophic effects humanity has had on the oceans. Illegal overfishing of sharks across the planet has deeper consequences that puts the Earth’s most important ecosystem in danger of collapsing, which threatens all life in, and above, the ocean. Stewart dedicated his life to conservation, saying: “Conservation is the preservation of human life. And, that, above all else is worth fighting for.” He taught the world to love the oceans and their creatures and not fear sharks through his iconic images of hugging and free diving with sharks and mantas. Award-winning biologist, photographer, conservationist, author and filmmaker. Born and raised in Toronto, Canada, Rob Stewart began photographing underwater when he was 13. 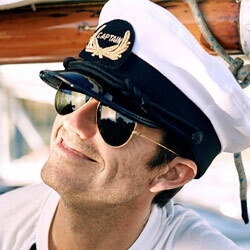 By the age of 18, he became a scuba instructor and then moved on to earn a Bachelor… read more. Brock Cahill, Founder of SeaChange Agency first became aware of Rob Stewart when he saw the iconic photograph of Rob freediving with sharks. Shortly after that, he saw Sharkwater (2007) and it it inspired him to reach out to Rob… read more. Madison Stewart, to her friends ‘Pip’ (dad’s a pirate, mum’s a hippy, so she became ‘Pippy’). 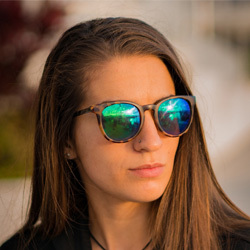 She has always grown up in the oceans, living on a yacht form the age of two and then growing up on the waters… read more. Will Allen has been in wildlife photography and cinematographer since 2003. Primarily focused on aquatic life he has worked on several adventure documentary films including Bouvetoya, The Last Place on Earth, traveling to the most remote uninhabited island on earth… read more. 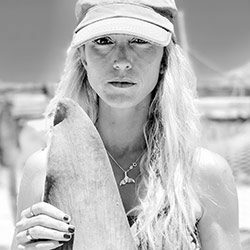 Regina Domingo is a dive instructor, sailor, conservationist, producer, photojournalist, campaigner, and passionate researcher behind the documentary Game Over Fishing. Six years ago, she decided to devote her life to the ocean after a profound experience volunteering with Park Rangers… read more. 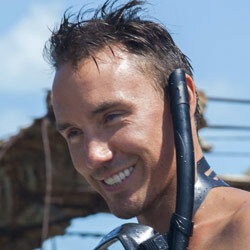 How Did You Help So Many Connect With Rob Stewart After His Death?